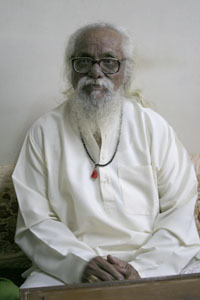 In the summer of 2004, we made a trip to India to see if we might interview experts in different fields about their experiences and thoughts on hasta mudras. There, we were welcomed by some of the most prominent masters and dancers of various dance styles. We also met with a spiritual master and yoga teacher, both of whom utilize hastas in their practice. In Addition we captured some footage of the Chennakeshava temple in Belur, Karnataka which resulted in a couple of secondary films exclusively featuring aspects of this beautiful temple. 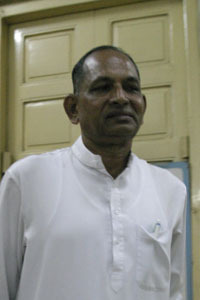 Nagesh Haldipur Bhatt is the head priest of the main Chitrapur Mutth, or spiritual center, for the Konkani speaking community at Shirali, Karnataka. On June 16th we interviewed him at the Bangalore branch of the Chitrapur Mutth. Nahesh Bhatt spoke in Konkani as he described his experiences with hasta mudras in specific Hindu rituals such as pujas, or ritual worship. 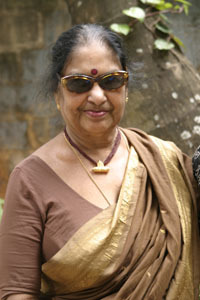 U.S. Krishna Rao, here a 92 yr old Bharata Natyam dance master and choreographer, who along with his late wife, Chandrabhaga Devi, were a popular Bharata Natyam duo. 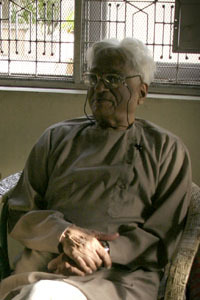 We interviewed him at his residence in Bangalore where he spoke of his early days as a young dance student learning hastas. He spoke from the perspective of someone who has taught and performed for more than 75 years. Maya Rao, the renowned Kathak dancer/choreographer spoke to us in her native Bangalore about the traditional use of gesturing in the style of Kathak dance. She also elaborated upon the impact this has made in her personal life as someone who has attempted innovative choreography. 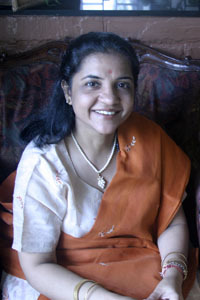 Acharya Parvati Kumar is a self-taught scholar, master and choreographer of Bharata Natyam who devised a notation and teaching system by researching the ancient texts. 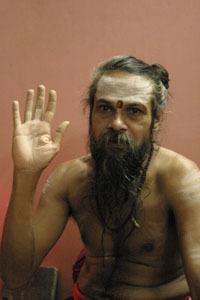 He spoke to us about his interpretation of the ancient texts and the importance of meaning in the use of hasta mudras. Daksha Mushruwalla, is a dancer/teacher of Odissi dance residing in Mumbai, who spoke articulately about the use of expression in hasta mudras. She also posed her own questions about the use of mudras in dance and choreography as she pondered our discussion. 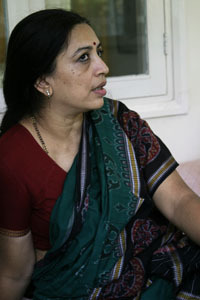 We met Darshana Jhaveri, one of the surviving dancer sisters of the former dance group, Jhaveri Sisters in Mumbai. An exponent of Manipuri dance from Eastern India, she spoke of the specific use of mudras within ritual dances of creation and their interpretation within the classical genre. 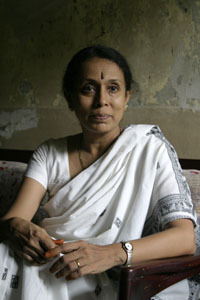 Jhelum Paranjape is a dancer/teacher of Odissi dance in Mumbai who talked about her unique use of hastas in new choreography within the Odissi style. She has created several new works using traditional hand gestures in a modern context. Dr. Raghav Someshwar, a yoga teacher at the Arya Samaj in Mumbai, spoke of the various practises and uses of hasta mudras for healing as used in yoga and pranayam. He reiterated the tremendous healing power of the hands that is harnessed in traditional healing arts. 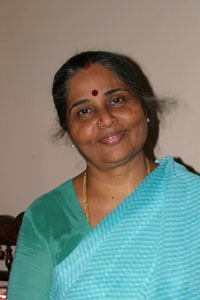 Rupa Chingorani is a yoga teacher who teaches children in an elementary school setting. She spoke of the powerful use of mudras for healing various physical conditions in children, who respond quickly to such practices. 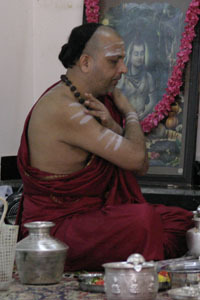 Swami Premanand Giri is head of the Raghavanand Mutth in Mumbai and a practitioner of tantric upasana (a form of ritual worship).  He spoke at length of the use of mudras in upasana (puja)and their various effects on the mind and body. Pandit Venugopal Pillai and his wife, Jayashree, is a husband and wife team of dance masters and choreographers of Bharata Natyam in Mumbai who spoke to us about preserving the use of traditional mudras in dance today. 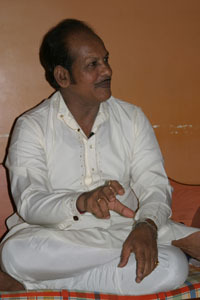 Panditji shared various practices that ensure the preservation of these hand symbols to the next generation of dancers. Jayashree Behn spoke of the powerful effects of mudras and the differences in their use between yoga and dance. During this time, we also attended a special dance performance honoring a late dance master in the Odissi dance tradition. Further, we obtained permission from the Archeology Department of Karnataka to film on location at the beautiful Chennakeshava temple at Belur. Photos and brief details of both these events are given here. Odissi dance performance: July 4th, 10 am, Matunga, Mumbai, We filmed a performance by senior disciples of the late Guru Kelucharan Mohapatra in recognition of Guru Purnima (full moon) celebrations. 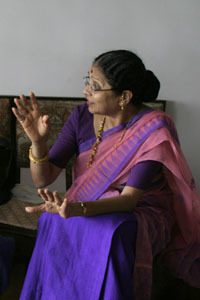 Older Kathak danseuse, choreographer and teacher who spoke of discovering and developing a gesture system herself initially, spoke of the unique suggestive use of mudras in Kathak which is different from literal use. On June 17th and 18th, we visited the Chennakeshava temple at Belur, Karnataka. 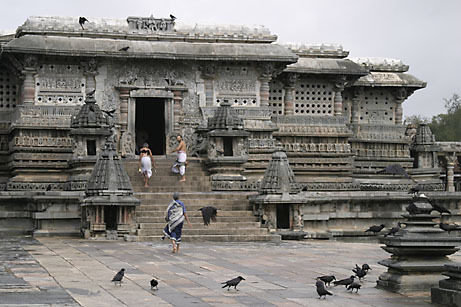 This temple was carved entirely from soapstone during the Hoysala dynasty during the 11th century. It features some of the most exquisite dancing figurines along the exterior of the main shrine. We filmed footage of the entire temple with focus on several of the 42 mudra bearing dancing figures that are angled from the temple roof. We also filmed various Bharata Natyam dances outside the north and south sides of the temples as well as still photography within the inside the sanctum. 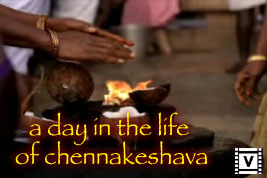 Video clip showing the typical activities one may see in a living temple in southern india. Belur, Karnataka, India.